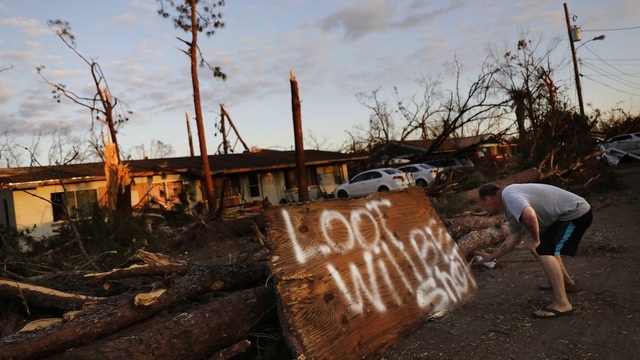 Deputies in Bay County, Florida, who are working in Hurricane Michael’s shattering aftermath, have arrested about 10 suspected looters each night since the storm made landfall a week ago, according to authorities. Bay County Sheriff’s Office Maj. Jimmy Stanford told the News Herald in an article published Tuesday that the looters have targeted businesses and homes. They are almost always armed. 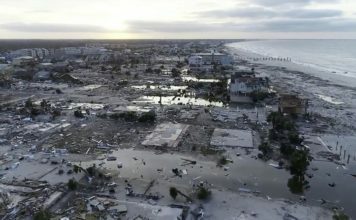 The county is home to Florida’s Mexico Beach, a small town on the Gulf Coast that was in the bullseye of Hurricane Michael. 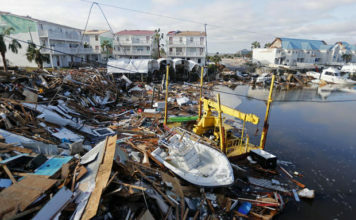 It is also home to Panama City and Tyndall Air Force Base, which suffered “widespread catastrophic damage” from the storm. In Callaway, a Panama City suburb, resident Victoria Smith said her purse was snatched out of her hands while she was sleeping. The front door to her home was open to let a breeze come through. With the breeze came burglars. “It was all we had,” she added. Pictures showed police detaining people on suspicion of looting and a sign warning people. FEMA has approved Transitional Sheltering Assistance for county residents, allowing eligible storm survivors to get short-term lodging in motels or hotels with costs covered by FEMA. Those eligible are people who can’t return to their homes for an extended period because of disaster-related damage or an inability to get to their communities, Scott’s office said.